We are all he has left in this world. Please don't let another young adoptable 2 year old male Chihuahua be a sad shelter statistic - he deserves a chance! PICO is adorable! This sweet love is uniquely handsome and he needs some help now. Please SHARE, he's SUCH a good boy he needs a FOSTER or ADOPTER NOW. Thanks! 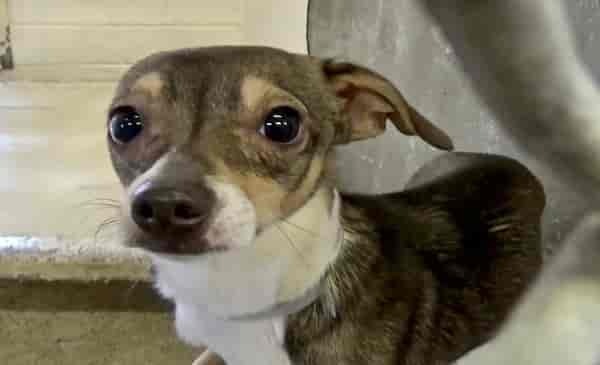 #A5128783 My name is PICO and I'm an approximately 2 year old male Chihuahua. I am not yet neutered. I have been at the Carson Animal Care Center since 11/9. I will be available on 11/14. You can visit me at my temporary home at C245. 0 Response to "A little chihuahua too scared to get close, we are all he has left in this world"